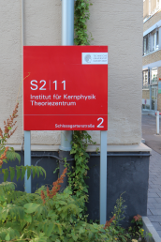 The Theory Center of the Institut für Kernphysik is located in building S2|11 of the central TU Darmstadt campus. At Darmstadt Hauptbahnhof, take the tram number 5 to "Kranichstein", or the bus number K to "TU-Lichtwiese/Mensa". Exit the tram/bus at the fourth stop: "Willy-Brandt-Platz". From there you can reach us within five minutes by foot: Follow the Bismarckstraße in east direction and walk straight through the large park (Herrngarten). 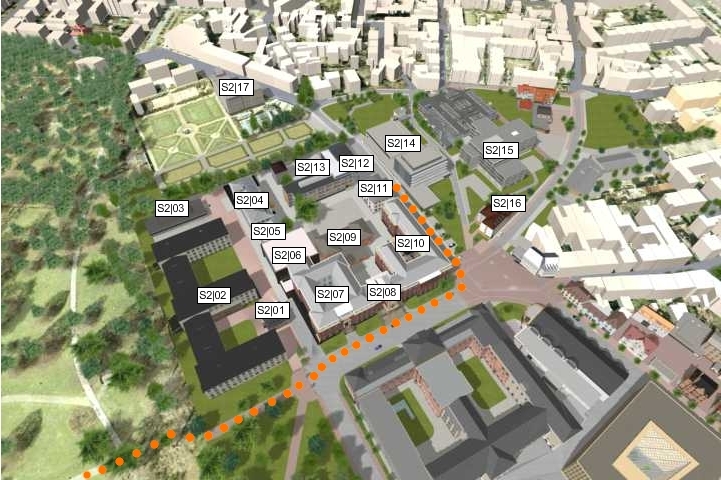 After leaving the park you are in the Hochschulstraße and you can see both to your left and to your right old red-brick university buildings. 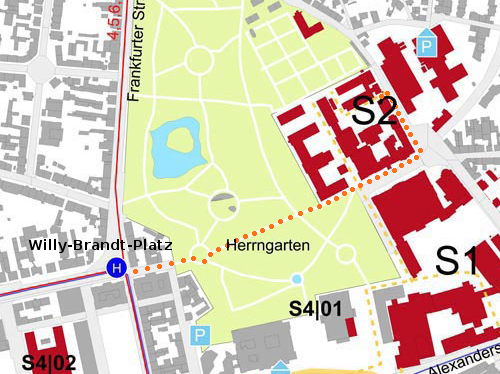 Follow this street for about 100m until you reach a small square (Kantplatz). Turn to the left and follow the Schlossgartenstraße for another 100m. 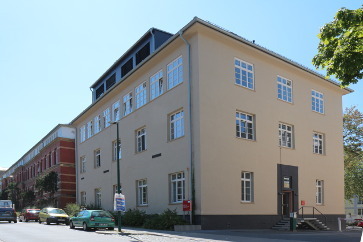 The theory center is the second building on the left-hand side (building number S2|11).